The very first thing that you need to understand about SIBO and abdominal bloating relief is that the length of time that you have been suffering from SIBO, the more challenging it will be to recover. This would be great if the average physician was able to recognize SIBO in its early stage, but this is not the case. Few doctors can recognize the early stages of SIBO, and far too often the very comprehensive nature of the multi-organ symptoms that accumulate with longer-standing SIBO completed missed. What does happen, though, with long-standing SIBO, is that you have likely been diagnosed with irritable bowel syndrome, chronic diarrhea, chronic constipation, reflux, heartburn, depression, anxiety fibromyalgia AND chronic fatigue. And this may or not be accompanied by a long list of medications. But, as I’ve mentioned before, not a single one of these medications will fix SIBO. They won’t even help a little; in most cases they are going to make the underlying SIBO worse. All of this means that you have probably lived decades with undiagnosed SIBO. THIS becomes the problem. Your gut and immune system have been doing the wrong thing for a long time, and retraining your gut to behave and function properly is going to take some time. Years, likely. If you’re lucky enough to have come across this article at a time when your gut symptoms are just beginning, then I’ve got good news—you can recover much more quickly. But you need to get started NOW. I’ve made it clear that most of this mess begins with bacteria growing where it is not supposed to be growing. Thus, it makes sense that the first steps should be to control the growth of the bacteria growing in the small intestine. This is where the answers begin to get a little cloudy. 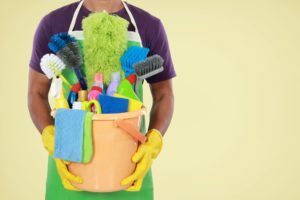 While there are lots of ideas, opinions and research on what can control the overgrowth of bacteria in the small intestine, what may work for you may not work for everyone. First, I’ll go over the list of what can be used, and I’ll finish up with my personal preference. While it is not my recommendation to use antibiotics to manage the overgrowth of SIBO, there is no doubt that this approach can be effective. But, as is always the case with medicine, there’s a catch. Antibiotics can be targeted or broad spectrum. As I’ve mentioned many times already, the indiscriminate nature of antibiotics is what kicks off the problem of SIBO in the first place. This means that, in general, antibiotics are a really bad idea for treating SIBO. Rifaximin (Xifaxan) is an antibiotic that is not absorbed by the gut. This means that it’s action is specific to the GI tract only. GI docs who are more aware of the presence of SIBO will use rifaximin in an attempt to bring the bacterial numbers under control without too much collateral damage on the rest of the body. And truly, most of the patients who use rifaximin will find some relief of abdominal pain and bloating. The problem is that this relief is almost always temporary. The reason that the benefits are only temporary is because the antibiotics don’t address the comprehensive nature of SIBO after it has been present for any length of time. Maybe if rifaximin is used with the other approaches I’m going to outline later in the article, we’d see more long-lasting results. This is within the realm and understanding of many practitioners who use natural approaches like chiropractors and naturopaths. But here’s where I differ from many of these providers. While this may be hypocrisy to many, I’m not a big fan of testing. Testing like this is expensive, but some patients just want to have hard evidence that something is wrong with them (because all the diagnosis and symptoms are not enough without some concrete lab testing). Society has conditioned us to respond to testing and request it. But sometimes, the simple approach is a smarter idea in that it doesn’t waste money on testing that could be used for treatment. This is generally my approach with my patients. That being said, you can do stool testing to get a better idea of what natural antibiotics will work against what you have growing in your small intestine. Or you can try a blend of natural approaches and see how your gut responds. Out of this list, oregano extract is one of my favorites. After, of course, making sure that your digestion is working optimally and you are NOT taking any drugs that blocks stomach acid production. One reason I like oregano extract so much is that it works in a very generic fashion. The more specifically a drug works on a bacteria or virus the easier it is for that bacteria to adapt and become resistant. Not so with oregano. The mechanism by which oregano works attacks very important parts of the invader that the invader can’t live without. For this reason, resistance to oregano doesn’t occur. It is something that can be used long-term without losing its ability to destroy invaders in your gut. It’s going to take time. A LONG time, especially if you’ve been dealing with symptoms for decades. It may not be unreasonable to be taking the ADP for two years or more. This is why it’s important to use something that bugs don’t develop a resistance to. The general idea is to use something to constantly keep the levels of bacteria in the gut suppressed while your digestion gets back to normal on the lining of your gut slowly heals from increased intestinal permeability. Oregano extract fits this need quite well. Controlling the overgrowth is an absolute must for SIBO. 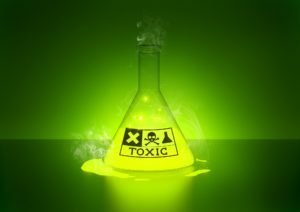 Until levels are under control, however, these bacteria are still producing toxins (as a result of their metabolic activity as well as from the particles released from their death). The absorption of these toxins into your body is what creates so many of the problems associated with SIBO that happen outside of the gut. Activated charcoal has been used for a long time to absorb toxins in the gut. Tylenol poisoning and drug overdoses are on the list of accepted uses. Charcoal works because it does not get absorbed and acts like a sponge for many chemicals present in the gut. Earlier this year I had a patient come into my office for a consult on how to best protect her kidneys from further failure (she was already in kidney failure). She was doing well on her own and really just needed some tweaking to what she was already doing. One thing her kidney doctor had not brought up to her was the link between the microbiome and kidney failure. But since nephrologist and gastroenterologist don’t exactly go to the same holiday parties to discuss things their practices have in common, this really isn’t a surprise. Just like the rest of the body, the kidneys are affected by the toxins released from the gut bacteria. It would make sense that something like charcoal taken by mouth could protect the kidneys from further damage. Luckily, my patient had been taking charcoal since the start of her kidney problems (although she wasn’t quite sure why she ever started taking it…) and I firmly believe that her taking the charcoal was a strong factor in how well she was doing. Activated charcoal is readily available on Amazon as well as at your local health food store. You’ve began the job of restoring digestion and destroying the high levels bad bacteria in your small intestine. The next step is to move towards healing the lining of your gut so it can get back to doing what it’s supposed to be doing. Have you ever seen the raw skin after the white scab of thrush is scraped away from the back of the throat from an infant? It’s red and raw and takes time to heal. Until this healing occurs, the gut cannot do its job properly. Molecules that piss off the immune system will continue to make it across the gut barrier that are not supposed to make it into the body. Healing the gut takes time. And the longer you’ve had a problem, the longer it’s going to take to get back to some degree of normal. Years in some cases. Diet is the long-term answer to maintaining a healthy gut lining. In the short run, supplements are a good place to start to speed along healing of the gut. Licorice has been used for a very long time to heal the entire lining of the gut. From mouth ulcers to stomach ulcers—licorice has been shown to heal these wounds. The problem with licorice is that it contains a compound call glycyrrhizinate that acts on the adrenal glands to raise blood pressure. To avoid this problem, licorice is offered in a formula that does not contain glycyrrhizinate, otherwise known as DGL. We’re not talking about the fake licorice that you’ll get in candy—real licorice has a strong kick. My favorite comes in a Dutch chocolate version by Enzymatic Therapies. I generally consider licorice as a short-term approach; two weeks is my recommended time frame to be using licorice, taking 3-4 lozenges per day. This is a good start to healing the lining of your gut. Another item that has a long history of use for healing the gut is cabbage. There is a compound present in cabbage that has been referred to as “vitamin U” (d-methionine in the methylsulfonium chloride form) because of its ability to stimulate healing of the lining of the gut. I firmly believe that one of the reasons why people have had success over the years using the “cabbage soup diet” is because this much cabbage goes a long way towards healing the gut. Heal the gut and all types of good things happen, including weight loss. For those of you who don’t happen to be a big fan of cabbage, Biotics makes a product loaded with the active component of cabbage called Gastrozyme. To use this product effectively, you have to continue to increase the dosage (at the rate of about 1-2 tablets / day) until your stool turns green. This means you’ve got enough of the cabbage extract to be having the strongest effect on the lining of your gut. Once you’re at this dosage, continue to take the Gastrozyme for 2 weeks. Again—another great springboard approach to healing the lining of your gut. Glutamine is an amino acid that many people think of when it comes to muscle recovery. But glutamine also has a long history of use for healing the lining of the gut. Many “digestive repair” drinks or mixes contain glutamine to help with gut repair. Glutamine is easy to come by at a health food store or Amazon.com. It is sold as a powder and is pretty much tasteless. Glutamine is something that can be taken long-term (a year or longer) at dosages around 5-10 grams per day. Just in case you haven’t heard of it before, butyrate is a short-chain fatty acid. Short-chain fatty acids are produced when bacteria in the gut digest soluble fiber. Fiber comes in two types—soluble and insoluble. Insoluble fiber is what has always been considered as “roughage.” It does not get digested at all and ends up sort of wiping the gut clean as it passes through. Soluble fiber, on the other hand, does not get digested by our system but can be digested by the bacteria in our gut to produce compounds called short-chain fatty acids like butyrate. The cells lining your gut love to use butyrate as a fuel source. The more butyrate, the healthier the cells. This means less inflammation and less risk for scare things like inflammatory bowel disease and cancer. I’ll go into fibers in more detail in the diet section. Bone broth has been promoted as almost a requirement to heal leaky gut. It’s basically a soup made by soaking bone with marrow in a mixture of apple cider vinegar and water. Letting the mixture steep for a period of time allows certain nutrients in the bone and marrow to become available for ingestion. The concept is that these nutrients help to heal the lining of the gut in addition to having additional health benefits like fighting inflammation and boosting the immune system. All that being said and all the websites talking about how awesome bone broth is for gut healing, I just can’t say I’m a terribly big fan. It’s not that all the nutrients found in bone broth are not good for the gut, because they are. It’s just that a good quality diet can provide them same compounds. If, on the odd chance that you absolutely love bone broth and prefer it to Starbucks as your treat for the day, I would never deter you from sipping on bone broth all day long. I just wouldn’t tell you that bone broth is an absolutely essential component of healing the lining of your gut. Supplements are a part of the plan to heal your gut, but ultimately, the long-term solution is to use diet every day for the rest of your life to maintain a healthy gut. There are quite a few dietary options that are used to manage the environment of the gut. Each diet has different aspects to it. If you try the wrong type of diet, it could actually make your symptoms worse. Never fear, though, even a bad reaction can give some clues to what is going on in your gut and what bacteria are present. A principal source of fuel for many of the bacteria in our gut is carbohydrates. These can range from simple sugars that your body can use for fuel to complex fibers that your body can’t even absorb, let alone use. While simple sugars get absorbed quickly, certain carbohydrates are absorbed slowly, or not at all. 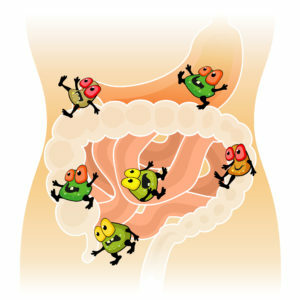 Since they are still present in the gut, gut bacteria will use them for fuel by fermentation. When these carbohydrates are fermented by the bacteria in the gut they produce gas (typically hydrogen and methane) as a side effect. This gas production in the small intestine leads to abdominal pain and bloating. So, it would make sense that avoiding foods high in these types of carbohydrates would help with many symptoms related to abdominal pain and bloating. Enter the FODMAP diet (for those of you who HAVE to know the origins of acronyms, it stands for Fermentable, Oligo-, Di-, Mono-saccharides And Polyols). This list of foods to be avoided on the FODMAP diet is pretty long and would double the length of this blog post. For one of the more comprehensive lists around, I’d steer you towards Wikipedia’s list on foods containing FODMAPs. It doesn’t fix the problem. It just keeps the symptoms at bay while your diet avoids the simple sugars. While the FODMAP diet will control the symptoms in the short run, it is only a part of the answer for the complete solution. Other approaches that help to control the bacterial growth MUST be a part of the FODMAP diet. In other words, the FODMAP diet can control the symptoms of abdominal pain and bloating while you use other treatments to get the bacterial levels in the small intestine under control. You can begin to see why these diets have acronyms. The SCD diet was originally developed by Dr. Dr. Sidney Valentine Haas in 1924 to help patients manage celiac disease (yes—you read that right—1924) by avoiding refined carbs, gluten and starch from the diet. In 1994 Elaine Gottschall published a book that brought the SCD out into the limelight after seeing her daughter’s ulcerative colitis resolve with the diet. A few years later, Dr. Natasha Campbell-McBride expanded the diet outside of the GI tract by using it to treat neurological disorders like Autism, seizures, migraines and ADHD. Her approach was given the name Gut and Psychology Syndrome (GAPS) diet. This diet cuts out all sources of complex carbohydrates, but leaves in the simple carbohydrates. Because of this, the SCD is more restrictive. But it also is designed to lower inflammation in the gut and can thereby actually heal the gut. This is in contrast to the FODMAP diet, that just removes the fermentable sugars to keep the symptoms under control. Just to make the topic a little more confusing, I do need to mention that many fibers in the gut do amazing things, but we’ll get into this in the next section. The Crohn’s and Colitis Foundation has a webpage that goes into the details and the studies on this approach. Just keep in mind that, just like any other disease Foundation, they are wishy-washy on whether it is effective for gut-related problems. The GAPS/SCD programs can go a long way towards healing inflammation in the gut. Less inflammation will allow the lining of the gut to begin to repair itself. But, as I’ve mentioned before, this is still only one component to achieving full recovery from a lifetime of the abdominal pain and bloating from SIBO. Technically, fibers should go under the dietary section of this article. But since they are so critical to how the gut functions they really require their own section. I covered probiotics, or the term for the beneficial bacteria in our gut (come to be known as the “microbiome” in recent years) in the first part of this article (in case you missed it, you should go back and read it now by clicking here ). For decades, the focus had been on taking oral supplements made up of bacteria that have been associated with healthy gut function. In this early days, it was about gut-related things like diarrhea and constipation. Later, the importance of gut bacteria in the balance of the immune system in autoimmune diseases like Crohn’s disease and ulcerative colitis came to light. Since then, the understanding of just how far-reaching the effects that our microbiome have on pretty much every aspect of health and disease has blown up. Along with it, there has been a strong interest in finding out what specific species of bacteria helps with what condition. If only it was that simple. As I mentioned in part one, the research on finding out what specific bacteria is good for “X” condition has been all over the place, with only a few exceptions that I won’t go into here. Diversity is key—the higher the number of different species present in your gut the better. So, you just find a probiotic with as many strains as you can and go from there, right? A good probiotic (like VSL-3 for a very high dose or Biotic’s Biodoph-7 ) will only have maybe 15 or so different strains. A healthy microbiome, on the other hand, can have upwards of a THOUSAND different strains. If this wasn’t enough of a dilemma, very few of the bacteria from a supplement will actually make it to the colon intact and set up shop and grow. Not that I would support the use of a low-quality product like Metamucil, this is exactly what this product was promoted for. Dietary fiber is just one compound that functions as a prebiotic. There are many more that support the growth of various bacteria that are considered a prebiotic. I’ve already covered the difference between soluble and insoluble fiber. In this section I’ll go into much more detail on what we know about soluble fiber. As I mentioned, soluble fiber is fiber that our digestive system cannot break down, but the bacteria in our gut can. The catch is that not all fibers feed the same bacteria equally. The dietary fibers that come from cereals and grains, fruits, vegetables, nuts, and legumes all have different effects on the bacteria in our microbiome. Inulin is probably one of the more popular fibers used as a supplement to support healthy gut function. While it is present in many plants (like onion, garlic and asparagus, agave, artichokes, asparagus, bananas, and wheat), chicory root is the most common food that inulin supplements are made from. Inulin has been shown to increase levels of the bacteria Bifidobacteria and Lactobacilli, which is a good thing for the gut. But there’s a downside. Inulin is also present on the FODMAP list of foods that can cause bloating. And sure enough, this is one of the more common complaints about the use of inulin as a prebiotic. On the flip side, it’s easy enough to try inulin for a few weeks and check to see how your body responds. Bloating and abdominal pain? Time to move on to another type of fiber. One other thing to watch out for is the inulin has also been shown to increase the growth of a potentially dangerous class of bacteria called Klebsiella that has been linked to inflammatory conditions of the spine like ankylosing spondylitis. Just to make things a little more confusing and to demonstrate how little we really understand about the gut, animal studies have shown that inulin fiber supplementation kept Klebsiella bacteria from spreading to the rest of the body. Not to sideline into the flu (because that’s its own 10,000-word article…), but the flu does not usually kill its victims. Rather, it’s the secondary bacterial infection that sneaks into the bloodstream and causes organ damage that kills people. Does this mean that soluble fiber could save lives from the flu? That seems entirely reasonable. On the same topic, this also means that the antibiotics that medicine and society love to use for viral infections is likely, ironically enough, actually contributing to flu deaths. Much like everything else these days, you can find a reasonably-priced, high quality inulin powder online through someplace like Amazon. Ever talked to someone who stays regular by having an apple a day? Before you think these people are just making it up, understand that the cell wall of apples contain a fiber called pectin. Pectin has been shown to increase the growth of the family of bacteria referred to as Bacteroidetes. Our friends Lactobacillis and Bifidobacteria are in this family. Interestingly, apple pectin does not support the growth of the bacterial family Firmicutes. The evil bacteria Clostridia (think botulism, tetanus and C. diff) is part of this family. The only bacteria within Firmicutes that IS supported by apple pectin just happens to produce anti-inflammatory compounds in the body. Go figure. Just another example of how Mother Nature’s control and influence on our health is complex beyond our understanding. The gum of the acacia tree, also known as gum Arabic, is a well-accepted prebiotic that is one of the less commonly used fibers, but probably one of the better ones. Studies have shown that acacia fiber also increases levels of Bifidobacteria and Lactobacilli but with less complaints of bloating. Definitely a good thing. Acacia gum is added to many different foods as a stabilizer, but the number of grams taken in this way is generally low. For this reason, there are a variety of products that contain higher levels of acacia fiber that are sold as supplements. There is another type of fiber that most people are not aware of but has some potent effects on our microbiome. Resistant starch is another type of carbohydrate that the human body is not able to digest. Like the other fibers I’ve mentioned, resistant starch is digested by the gut bacteria. The digestion of resistant starch, however, produces more of gut-friendly butyrate than other types of fiber. As I mentioned earlier, butyrate is a wonderful tonic for the gut. Taking in a fiber that produces more butyrate is a very good thing. Looking to get more resistant starch in your diet? This article gives a pretty detailed description of how to get more resistant starch in your diet. When most people hear the word “prebiotic” dietary fiber comes to mind. But technically, a prebiotic is any compounds that has been shown to increase the growth of bacteria in the gut in a positive way. (While it’s beyond the scope of this article-prebiotics don’t just affect the gut. Their benefits go beyond the gut to have positive effects on the respiratory tract and urinary tract as well). The reality is that there are probably hundreds of compounds in our diet that support the growth of organisms in our gut in both positive and negative ways. That’s the way that Mother Nature designed it. While we will probably never figure out all the nuances with which Mother Nature controls our microbiome, there are studies pointing to certain supplements and compounds in foods that support microbiome growth in a good way. Mother Nature makes thousands of compounds that have effects on the human body. Many of the colors, flavors, smells and tastes in the foods we eat (the natural ones, anyway) are produced by compounds known as polyphenols. It has long been known that polyphenols have important effects on human health. You’re already aware of these. Blueberries, strawberries, coffee, tea and spices. The health benefits. But science have always thought that the benefits came directly from the polyphenols. Only recently have we begun to understand that some of these effects are also indirect via changes in the microbiome. Given that only a small percentage of dietary polyphenols (about 5–10%) are directly absorbed in the gut, the stronger effects may be from these effects on the microbiome. The science behind how different polyphenols influence the microbiome is quite complex and beyond what I’m willing and able to go into here. The real take home message is that the plant-based compounds have the ability to support the growth of friendly bacteria while at the same time squashing the growth of bacteria we’d rather not have growing inside us. A study in rats using red wine extract was able to increase levels of Bacteroides, Lactobacillus and Bifidobacterium. A study using chocolate, green tea and blackcurrant or grape seed extracts increased Lactobacillus while lowering Clostridium. Cocoa use in rats lowered levels of Bacteroides, Clostridium and Staphylococcus. A cranberry extract led to a large increase in the bacterium Akkermansia (Akkermansia muciniphila can break down mucin, a mucous-like substance that lines the gut; mucin can protect the gut cells, but it can also protect nasty bacteria that hide behind a layer of mucin for protection). These are just a few examples of compounds that have been shown to make positive changes in the microbiome. You can bet there are hundreds, if not thousands, more. This is why a diet that has a large variety of different plant-based foods, spices and tea will help you build a healthy microbiome. This brings us to an end of this expose, which turned out to be far longer than I originally anticipated. However, the topic of gut health is so important and complex that it just can’t be squeezed into something smaller. Hopefully this article has given you a better understanding of how your gut works and what to do to begin the long process of fixing it. It’s not a quick process, so don’t expect miracles overnight. Some of these approaches are going to work for you while others will not. You’re going to have to do some experimenting on your own and see what works for you.